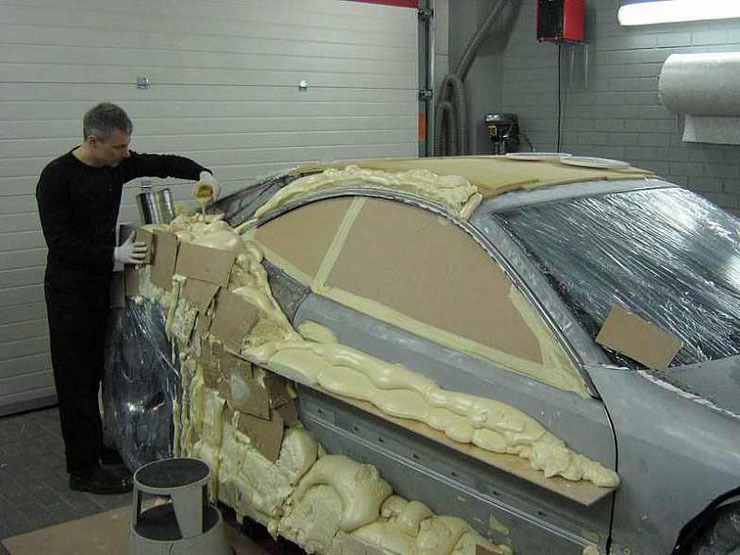 Example of polyurethane foam car "sculpting"
For anyone considering DIY aero mods, you're going to love the DIY, low-tech method this guy used to goop up and sculpt an entirely new body on a Mercedes coupe using polyurethane foam. A good friend of mine acually used this very method back in the early '80s to form big honkin' fender flares on his '67 Mustang. Home depot spray foam, then 'glassed over the top. Turned out VERY strong, but maybe he over did it just a little as it was his first try at it. Placed well in some local car shows as well. This is acually a plausible method. Would this stuff be good for blocking out parts of the front grill? How about making wheel skirts with it? It would be nice, especially for the wheel skirts, to have something that could easily snap off/on without damaging the skirts. Probably OK for making a "grille plug", but not so good for wheel skirts, which need to have some structural strength and can only be so thick. I could however see using this kind of stuff to build & shape the skirt area, apply a release agent and skin it with fiberglass - you end up with light, stiff skirts by making a polyurethane mold to lay the glass on. Are you saying make a base using the foam and then fiberglass over it? 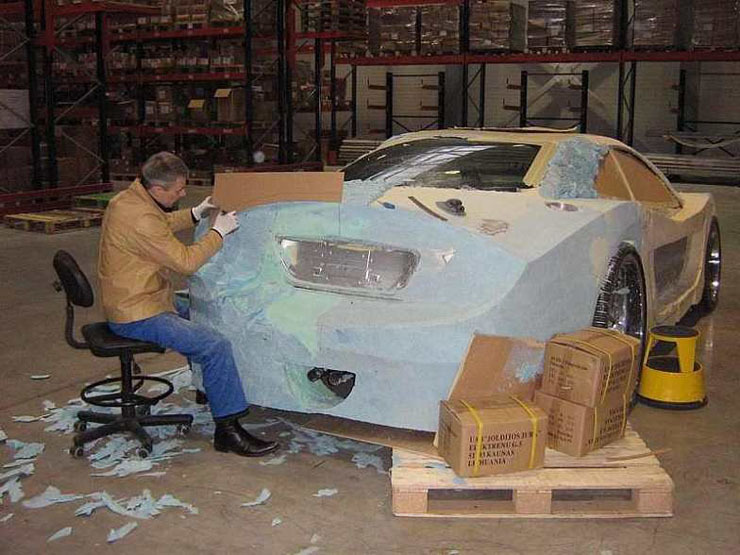 Or just making a mold with the foam and filling the mold with fiberglass? Any ideas on a clip-like thing to attach it to the car? Have you seen AndrewJ's thread and how he made his skirts? I can see placing a piece of cardboard behind the wheel well and then spraying foam all on top of it till it fills out the space. 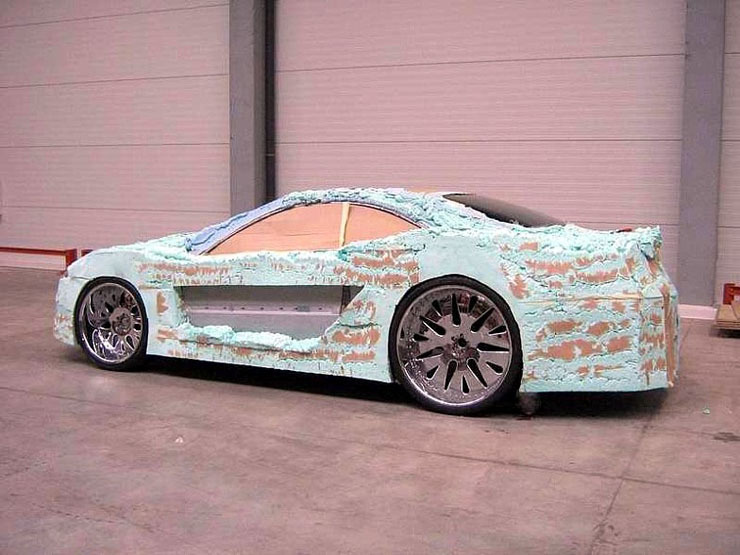 Then you could simply shave/sand it down even with the body lines. Next pull it out of the wheel well while still attached to the carboard. After that, lay some fiberglass on top of it, trim, sand, paint, and then remove all the foam from the backside and you have a perfectly shaped skirt. If you put wire mesh inside, would that add enough strength? Maybe some window screen material.